A professional not-for-profit association representing home decorators, designers, and design-related businesses across Canada, the Decorator & Designers Association of Canada (DDA) provides industry-specific resources to its members. The DDA recognizes QC Design school as an approved educational institution. 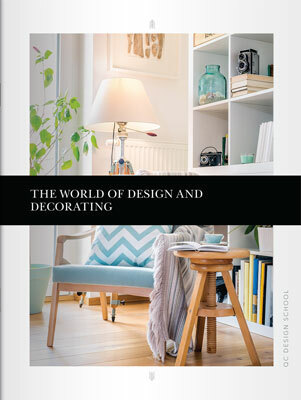 Canadian students and graduates of QC Design School’s interior decorating course are eligible to join DDA. For more information on their available membership types, please visit www.ddacanada.com. The Real Estate Staging Association (RESA) provides support to all professional real estate stagers in the United States and Canada. All home staging and design professionals are eligible for memberships with RESA, and members receive marketing assistance, peer-to-peer support, newsletters, and access to business resources. For more information on membership, visit www.realestatestagingassociation.com. Canadian-based students and graduates of QC can join the Canadian Association of Renovators and Home Stagers (CARAHS). This is a non-profit organization that aims to unite people with complementary backgrounds and help them through education and networking. Members of CARAHS include home staging professionals and color consultants, and benefits of membership include discounts, business resources, website listings, free workshops, and discounted courses. For more information on the available membership types, visit www.carahs.org. For QC Design School students and graduates who want to expand their networking opportunities, joining Professional Organizers in Canada (POC) is an excellent choice. This association provides members with support by providing access to tools, training, and resources to grow their own businesses. Students enrolled in professional organizing courses, as well as graduates, will enjoy monthly newsletters, discounted conferences, free local meetings, and access to business insurance. For more information on the available membership types, visit www.organizersincanada.com. The council was founded in 1931 with the goal of advancing the knowledge of color as it relates to art, science and industry. Membership benefits include an ISCC news subscription, a discount on color research and application, reduced conference fees, voting rights and more. Membership is open to our Interior Decorating and Color Consultant students and graduates located in the United States. The council offers Individual Membership for graduates and a Student Membership option.